Sony UK pledges to "continue to meet demand". UPDATE: Sony has refused to confirm or deny a report that it has ceased production of the PSPgo. In a statement issued to Eurogamer, all SCEE would offer is that it will "continue to meet demand" for the "current generation of PSPs". "It is a very exciting time for PlayStation portable devices," Sony said. "Before the end of the year we are launching NGP, our next generation portable device, which we believe will revolutionise portable gaming. In the meantime, the current generation of PSPs continue to be in demand, especially since the introduction of our value for money, Essentials range of games and we will continue to meet that demand." ORIGINAL STORY: Sony has stopped making the PSPgo, according to an online report. A blog described as run by a Japanese Sony Shop employee (translated by Andriasang), claims that Sony has confirmed production of the embattled portable game machine has ceased. Backing up the claim, the blogger points out that Sony Japan's online store does not allow users to order the PSPgo. It's listed as out of stock with no forecast for when stock will arrive. The equivalent product page on the UK version of the Sony Store lists the white PSPgo as available with next day delivery, although the black model is "temporarily unavailable">. Eurogamer has contacted Sony Computer Entertainment Europe for comment. The PSPgo has endured a troubled time since launch. In September 2009 Holland's largest specialised retail outlet, Nedgame, decided not to sell the PSPgo because of its hefty price-tag and the lack of a UMD drive. But in June last year Sony announced a new PSPgo deal whereby anyone buying the handheld would be given 10 free games. 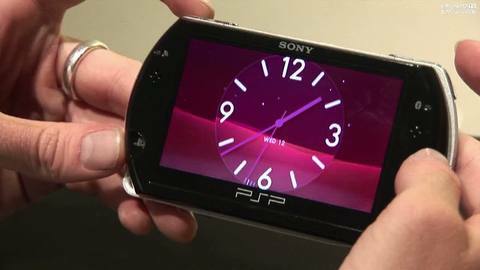 Sony launches its PlayStation Portable successor, codenamed the Next Generation Portable, later this year.